Photo by: Eagle Police Dept. 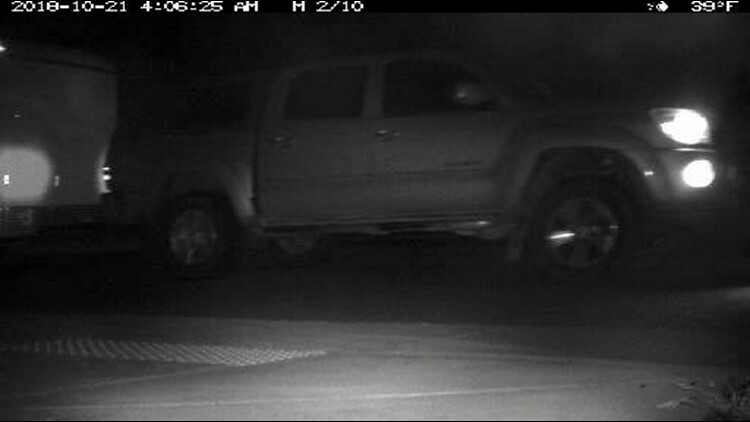 A Toyota Tacoma pulling a trailer is seen in surveillance video near where the burglary occurred at a construction site in Eagle earlier this month. Police say $4,700 worth of tools and materials were stolen from a locked trailer earlier this month. 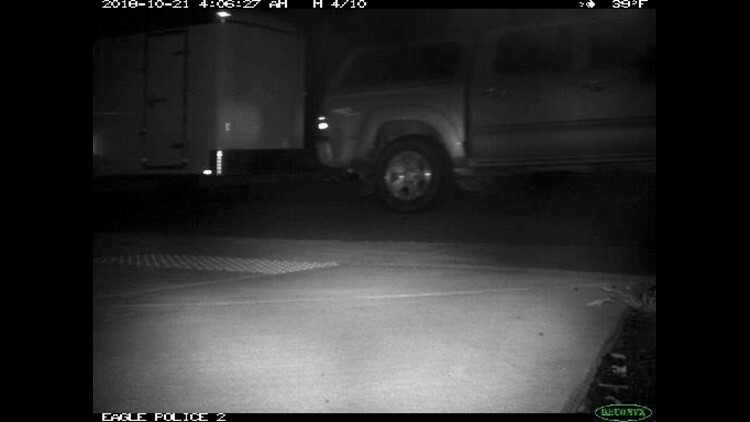 EAGLE, Idaho — The Eagle Police Department is asking for the public's help identifying a pickup truck they say was involved in a construction site burglary earlier this month. Police say $4,700 worth of tools and materials were stolen from a site on Longhorn Street. That's just off Highway 44 between Highway 16 and Linder Road. On October 12, police say the items were taken after a lock was cut off a trailer near the construction site. A nearby surveillance camera captured a Toyota Tacoma pulling a trailer, leaving that area around the same time the burglary occurred. If you have any information, make sure to call Eagle Police at 208-577-3851.